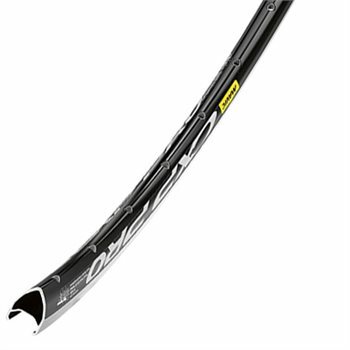 Thanks to its' 23 mm aero shaped profile, CXP Pro slices through the air, and Mavic's unique Maxtal alloy construction keeps its' weight low. A premium quality SUP welded and eyeleted rim; the CXP Pro is not only light but also very strong and durable. UB control braking surface ensures smooth and judder-free braking.